with a strong, healthy and sustainable organization. Ninety-three years ago a group of nurserymen in Oklahoma formed our association. Since then the nursery industry has changed dynamically to encompass wholesale nurseries and greenhouse operations, retail nurseries and greenhouse operations, landscape services from designing to building to maintaining, vegetable production, wineries, florists, cut flower, interior-scape, hardscape and turf industry and all companies that supply and service the green industry. The association has worked at broadening and enhancing its services, education, and fellowship to include all facets of the green industry in our great state. 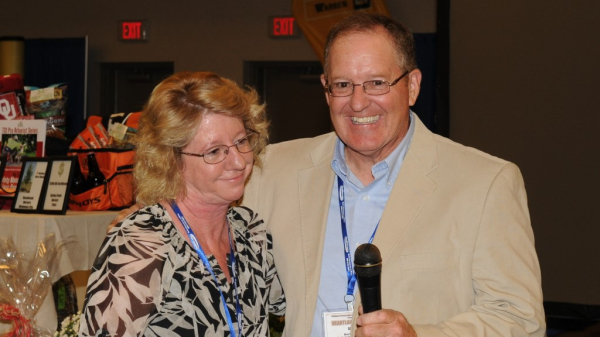 The Oklahoma Nursery and Landscape Association is dedicated to bettering your business by means of education, political outreach, networking, environmental stewardship and fellowship. We hope that no matter what aspect of the green industry you are in, you will find the acceptance and excellent resources needed to help you and fulfill your business needs. 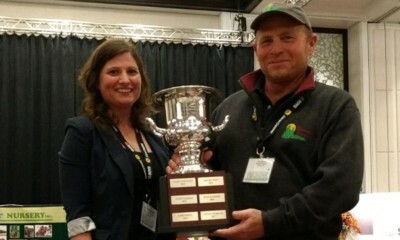 Each year the ONLA Board of Directors chooses two ONLA members (one male and one female) to receive the Green Industry Professional of the Year Award. These individuals embody excellence in the green industry through their actions, leadership and example. 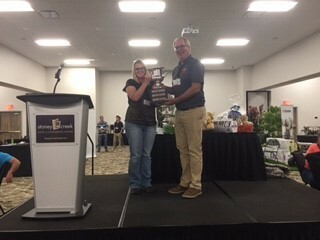 They are nominated and chosen by the Board of Directors and receive the award during the annual ONLA Convention and Trade Show, held each year. Julia Laughlin from Belle Verde Gardens of Choctaw. Mark West from Cedar Valley Nurseries of Ada. Both recently retired from Myriad Botanical Gardens, Janet Latham is owner of Latham's Landscape of Oklahoma City. Allan Storjohann is the voice of the Gardening Show on Cox Radio Tulsa, KRMG. 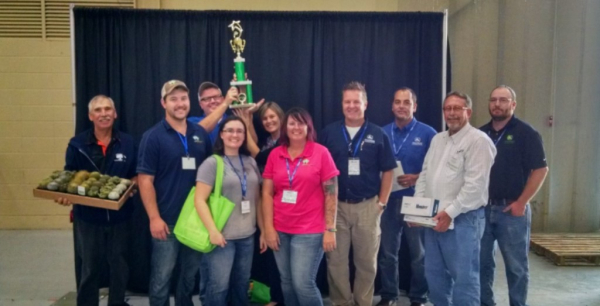 During the ONLA Convention and Trade Show, we hold the Landscaper Games. Several landscaping teams compete for the title as they design and build their landscape with limited time and materials. Only one team walks away as the champion, taking home the title, a trophy and cash. Will your team be the next Landscaper of the Year? Join us at the 2017 show and find out! 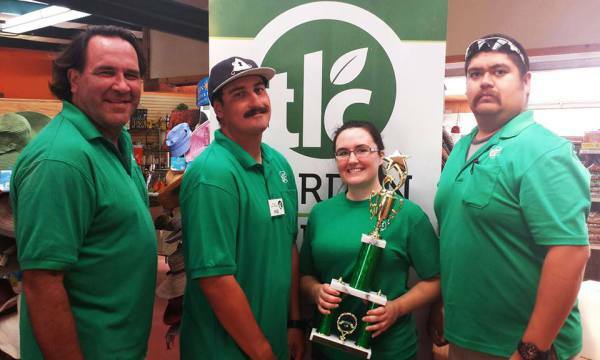 TLC Garden Centers held on to their title for a second year. The format stayed the same from 2015, but the "twist" was a little different. One team member was taken "off the job" to visit all of the trade show exhibitors looking for answers to 15 questions ranging from plant ID to chemical makeup of various pesticides to parts of a tree. 50% of the score was based on judge's scoring, 25% was based on the question and answer "twist" and the final 25% by attendee voting. Congratulations, TLC! The teams had two hours to plan and execute their plan, while dealing with two "twists": a 30-minute Plant ID test and an irrigation system addition during the last ten minutes. 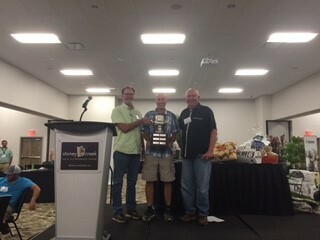 Judges and convention attendees had a hand in choosing the winner, the team from TLC Garden Centers in Oklahoma City. 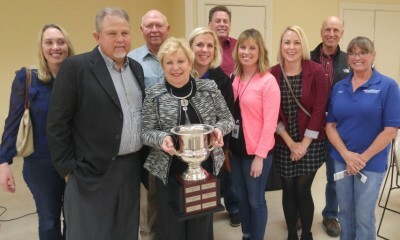 One member of the team was last year's winner, Wendy (Johnston) Simmons. In our first year of the competition, Wabi Sabi West of Edmond was represented by three competitors. They began the games with Plant ID followed by paver design, wall building, irrigation installation and finally patio design. Wendy Johnston bettered her workmates to win the title! 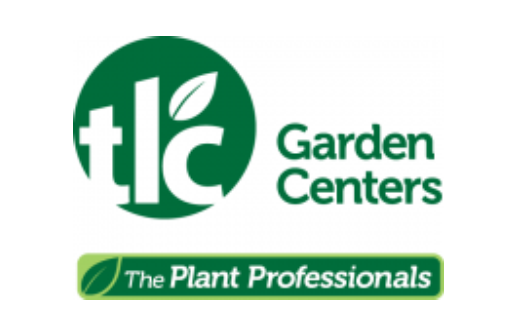 The national horticulture industry association, which began on January 1, 2014 as the merging of the American Nursery & Landscape Association and OFA, the Association of Horticultural Professionals. The Western Nursery and Landscape Association represents businesses in the states of Iowa, Kansas, Missouri, Nebraska and Oklahoma. The Southern Nursery Association encompasses the states of the southeastern regional of the United States, including Oklahoma. amended in 2013 and again in 2015.
members are invited to add to their website, email signatures, letterhead, or other items to show your membership with the organization.